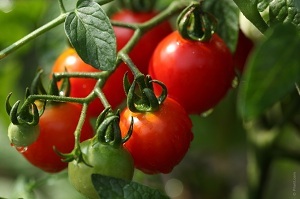 If you like to eat tomatoes, you will get benefit from tomatoes for your health. Eating tomatoes is very good to prevent stroke. By eating tomatoes, you can prevent 55% of stroke because tomatoes are rich in Lycopene. Lycopene may reduce the ability of Low Density Lipoprotein (LDL) or bad cholesterol to establish plaque in the arteries that can cause heart attacks and strokes. This substance inhibits the production of cholesterol and prevents blood clotting. Meanwhile, according to the results of research conducted by the experts from University of Eastern Finland in Kuopio, approximately 1,000 elderly respondents give good results in that research. The results of research that was published in the journal Neurology found that those who had high levels of antioxidant lycopene in their blood have less chance of having a stroke during the next twelve years.